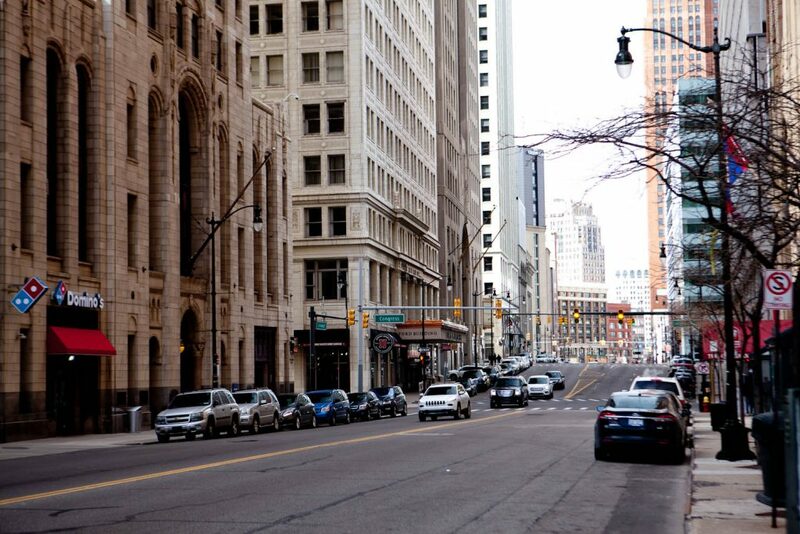 So I understand that you might have reservations when thinking about visiting Detroit. 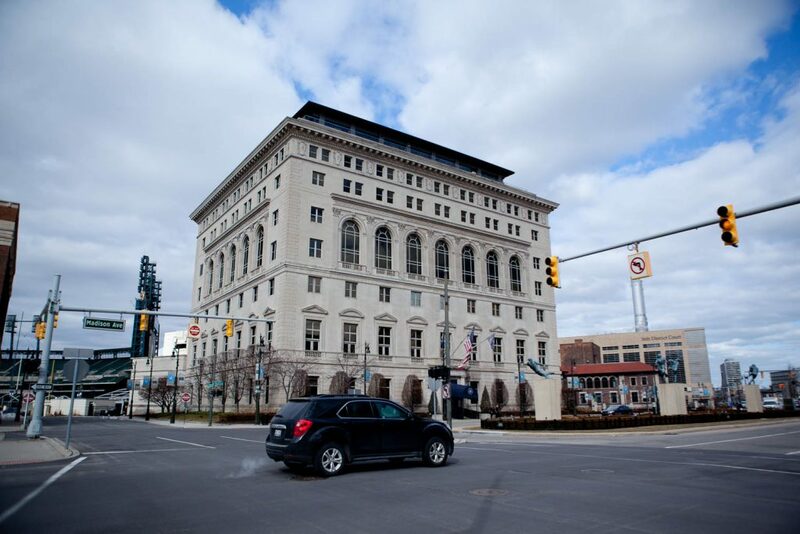 However, most crimes happen at night and outside of downtown. The center of the city has improved greatly over last few years. People and businesses are moving in. The riverfront has been popular among visitors, walkers, runners and cyclists for number of years. 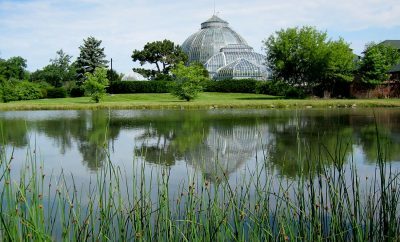 Recently added state park on Belle Isle is also a very popular destination in the city. 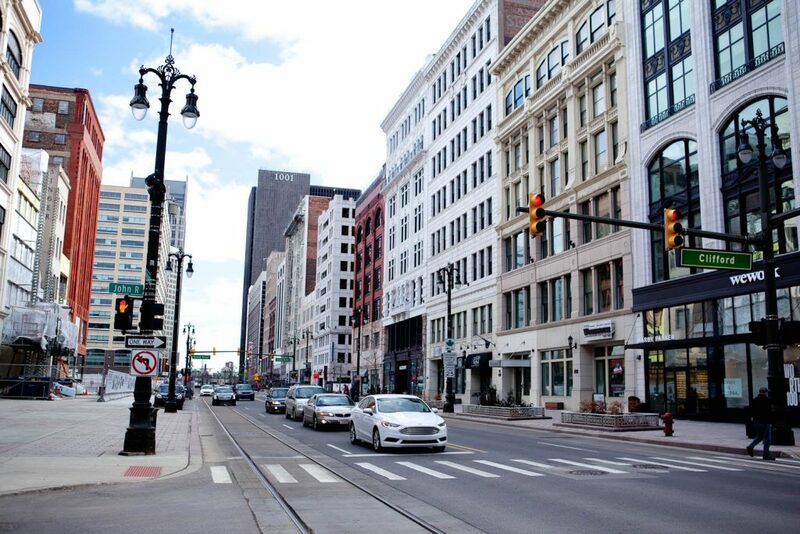 However, if you plan on visiting the city and still feel uneasy to go out and explore on your own, there are few companies offering walking, and also other, guided tours of Detroit’s downtown. 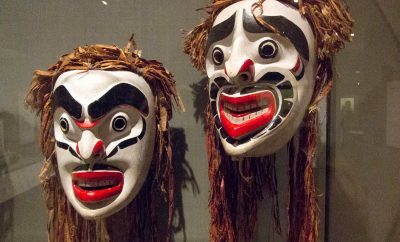 Recently, I went on one of these tours. 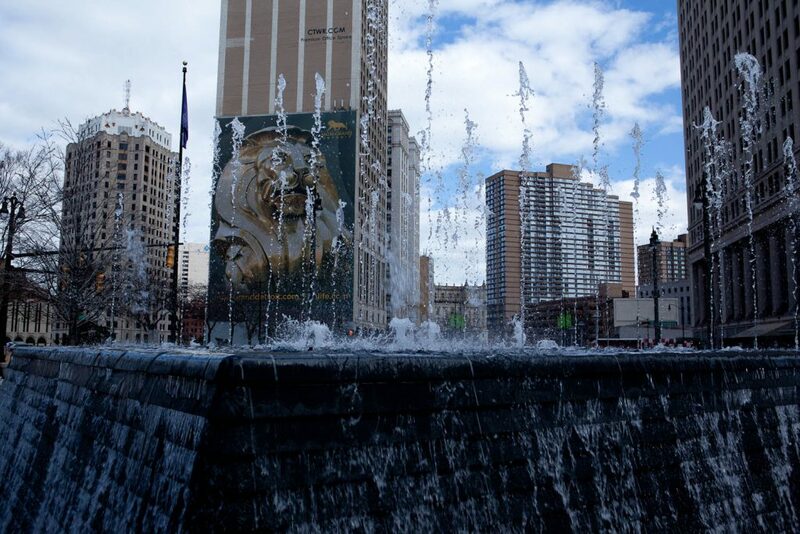 The Downtown Detroit Walking Tour was organized by company called Seven Two Tours. 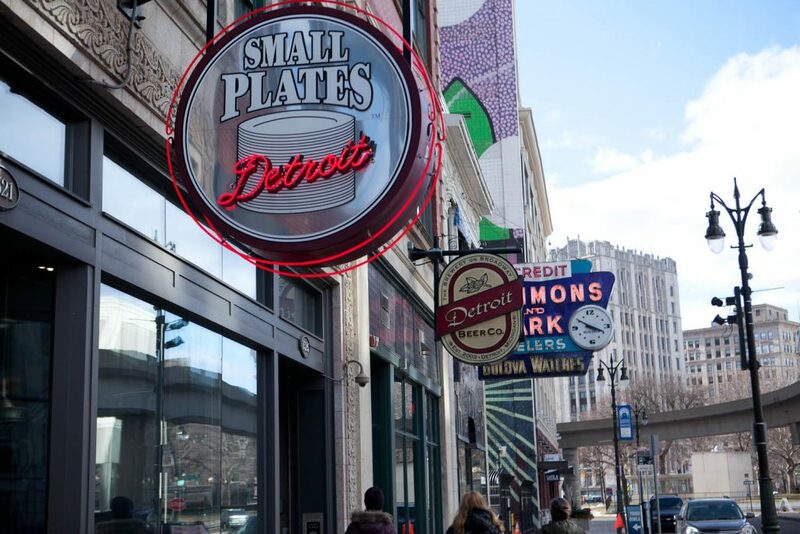 By the way, then name of the company refers to the area of downtown Detroit, which is 7.2 square miles… according to our guide. Our tour took place on Saturday, in the early afternoon. Our guide, and the owner of the company, Calvin, met us in One Campus Martius Building (formerly known as Compuware Building). 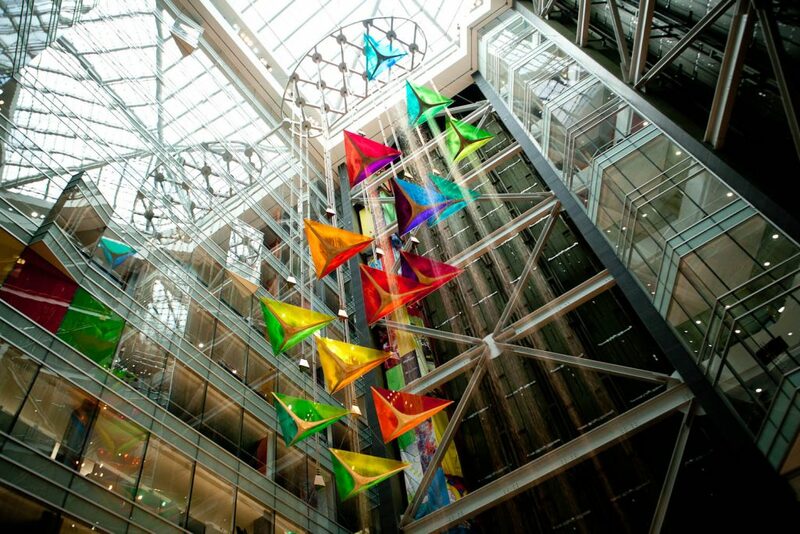 Inside One Campus Martius Building (formerly Compuware Building). The tours must be quite popular. It was a cold day in early March, and there was probably about 20 people there. Calvin, after introducing himself and taking attendance, began the tour by giving us the quick overview of Detroit’s history. Starting in the distant past, and then referring to the recent decades, he took us over the most important events. 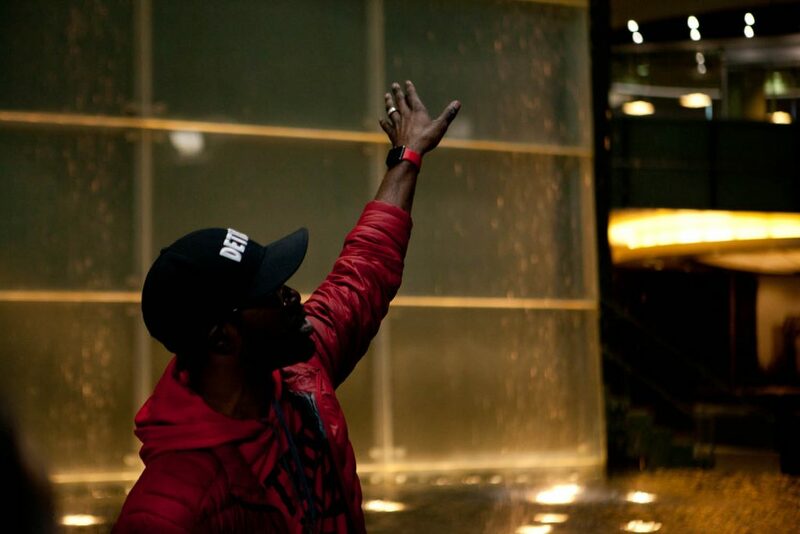 From there he went into very recent developments leading to the current revival of the city. 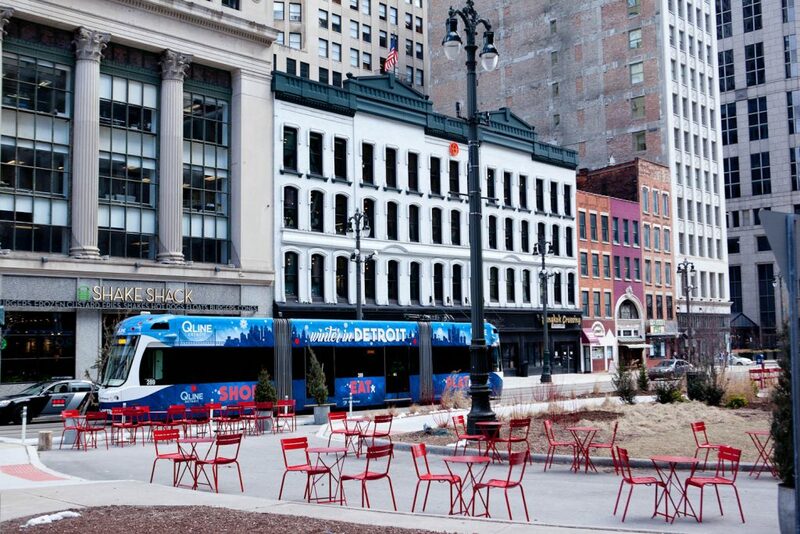 Soon, we went out of the building, and crossed the Campus Martius Park. 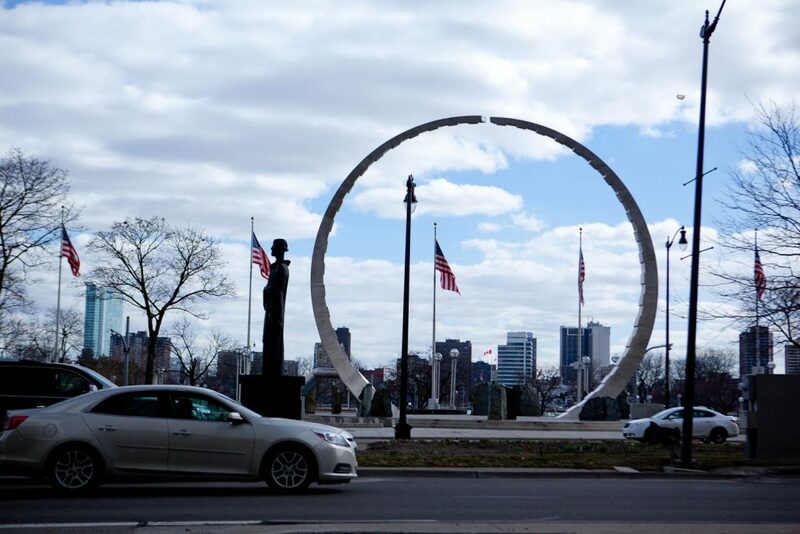 We stopped briefly at the fountain, and got more history facts about it, about the Soldiers and Mariners monument, and surrounding buildings… Most designed by Albert Khan, a famous Detroit and Michigan architect of the early 20th century. Then we walked down Woodward Avenue towards the riverfront passing some new (ShakeShack) and old (Grand Trunk Pub) businesses along. Woodward Ave looking south from Campus Martius. 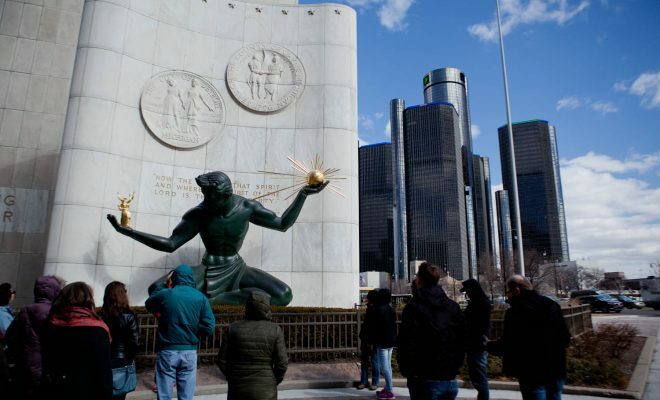 Next, we stopped at the Spirit of Detroit statue, and heard some more history and meaning of some symbols depicted in the statue. 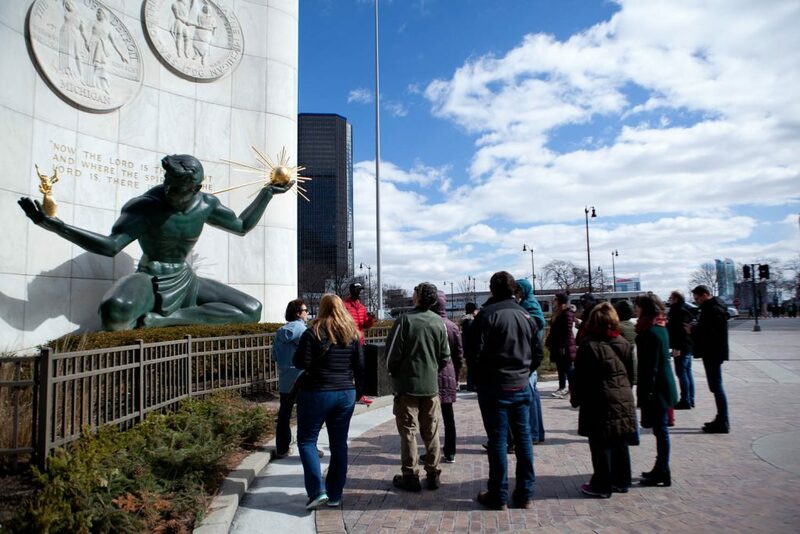 Calvin, also mentioned other landmarks, like Michigan Labor Legacy statue and Joe Louis fist. 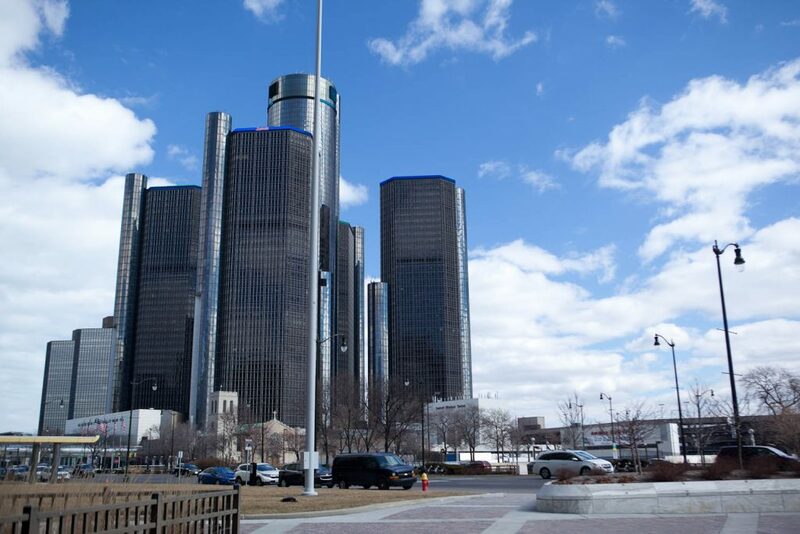 Renaissance Center – GM Headquarters. Then, we walked back into downtown to hear more historical facts about some of the older skyscrapers in the city and admired one after another building designed by Albert Khan. 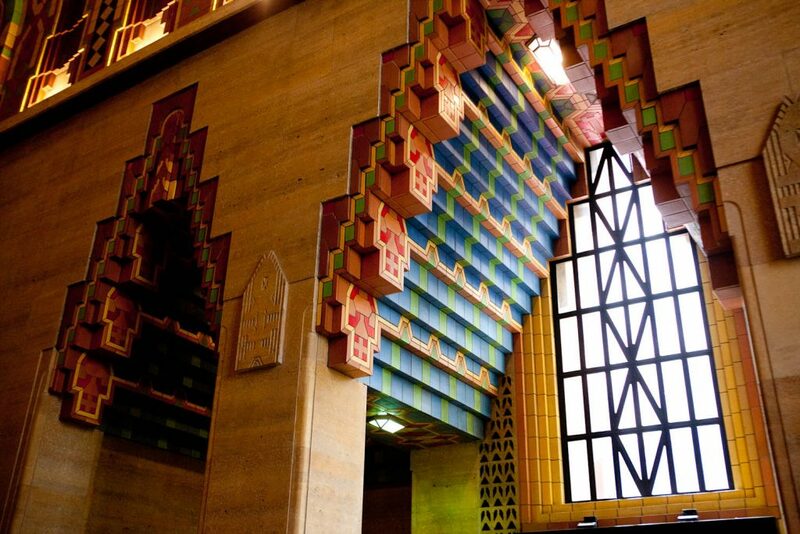 And eventually, we ended up in the Guardian Building. Intricate detail of the lobby decoration in the Guardian Building. 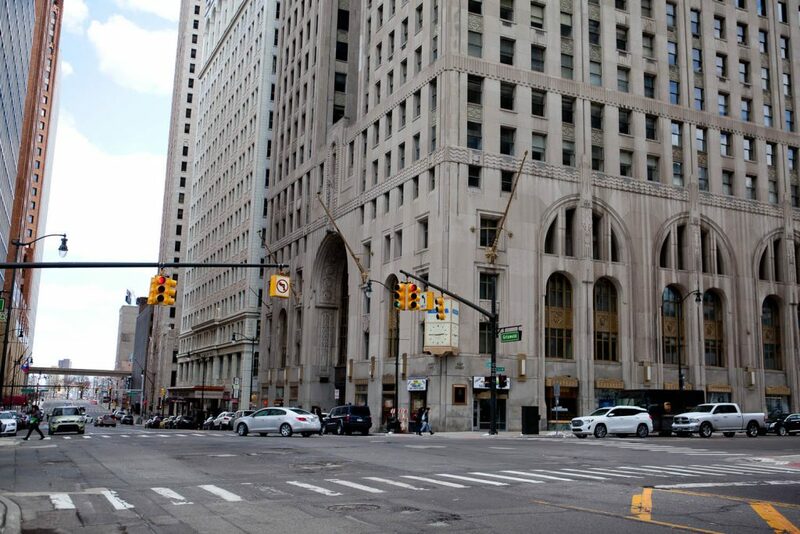 Our route led us to more of the older architectural landmarks with some interesting history, like Ford Building and Chrysler House. Other historic business district buildings. Among them Ford Building. 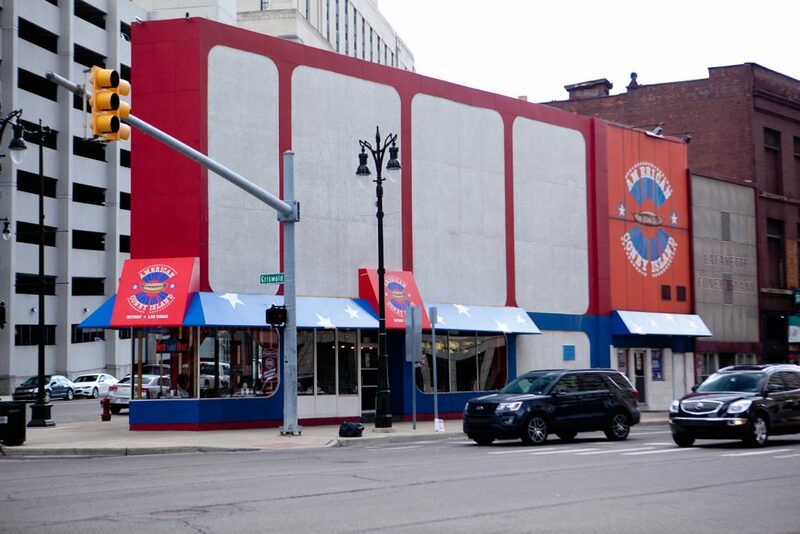 We also passed by two famous Detroit coney island restaurants – American Coney Island and LaFayette Coney Island. American Coney Island and LaFayette Coney Island. Buildings on the right contain a number of renovated apartments, which are in high demand, as people move back to Detroit. 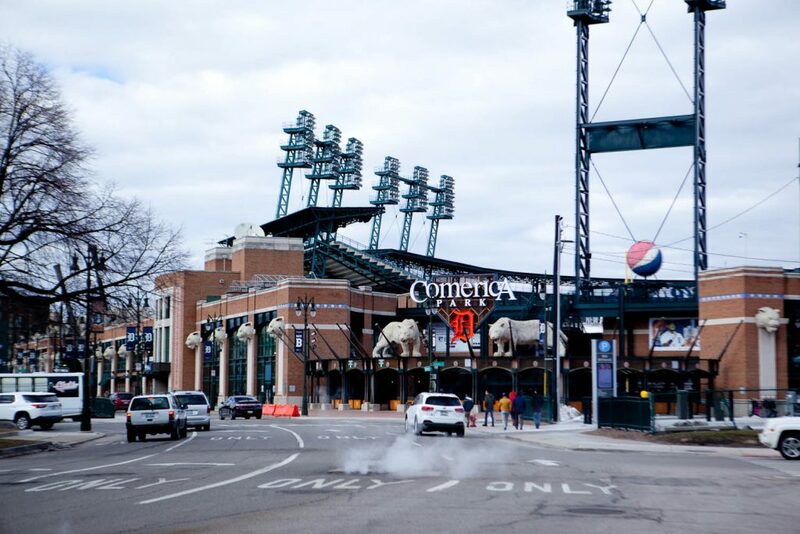 Towards the end of our tour, we also walked by the Comerica Park and Detroit Athletic Club. Detroit Athletic Club. Another of Albert Khan’s design. The tour was about two and half hour long. It was nice to walk around downtown and hear the history behind many of its landmarks. 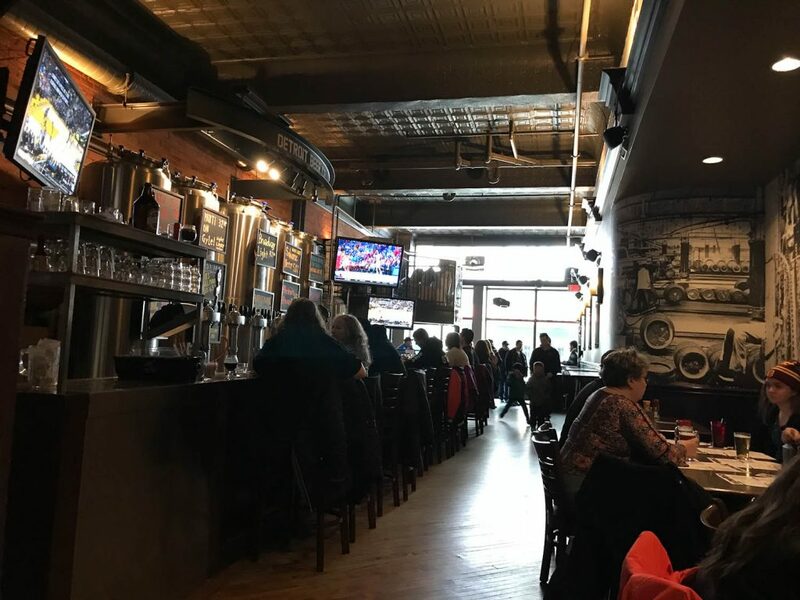 To end the day in the city, we went to eat and drink in the Detroit Beer Company – one of many of the popular local pubs. And as you can see from the attached picture, the place is busy, even though, it is only about 4:00 PM, so not the busiest time yet. Detroit Beer Company, Detroit, Michigan. So the city is not as desolate as some of the media portrait it. 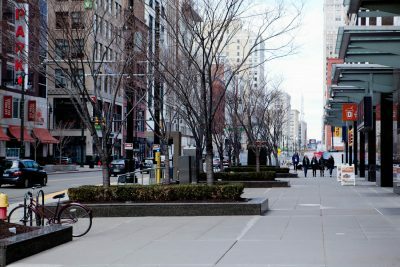 Actually, the downtown is very popular with young people, which brings hope that Detroit one day can be as great, as other cities in the region, like Chicago or Toronto. 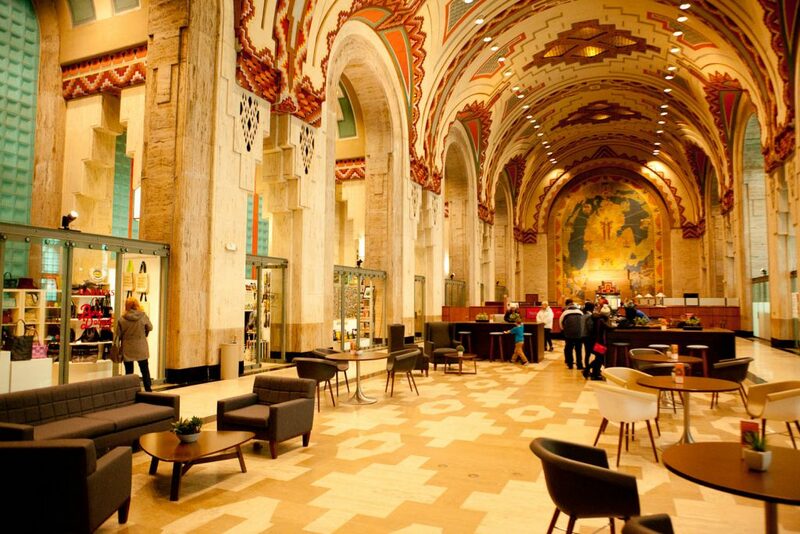 So, you should put Detroit on your travel list. It is not a huge destination, with a lot of point-of-interest, on its own. You cannot compare it to cities like New York, which you can tour for a week and still not exhaust your list of interesting places to visit. 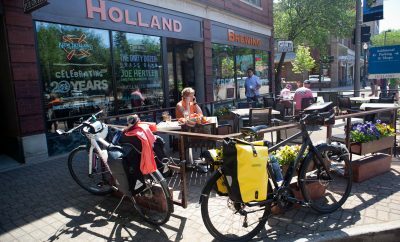 However, you could combine the visit to the city with some other destinations in Michigan, or Great Lake region. If you are interested in touring other historic sites in Detroit, here is my post about Tours of Detroit Packard Plant.